Neale Donald Walsch discusses Happier Than God: Turn Ordinary Life into an Extraordinary Experience. Neale Donald Walsch reads from Happier Than God. Neale Donald Walsch is a resident of Ashland, Oregon, and is the author of 15 books, including the extraordinary Conversations with God series, which has sold in the multi-millions in 34 languages worldwide. His first children's book was The Little Soul and the Sun, which became an instant spiritual children's classic. He is a founder of the non-profit Conversations with God Foundation (www.cwg.org) and creator of Humanity's Team (www.HumanitysTeam.com). 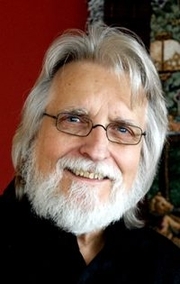 Information on his work in the world, and an opportunity to participate in it, may be found at www.nealedonaldwalsch.com. Neale Donald Walsch is currently considered a "single author." If one or more works are by a distinct, homonymous authors, go ahead and split the author. Neale Donald Walsch is composed of 12 names. You can examine and separate out names.